On this trip we will venture to some of the islands a little further from La Paz, these islands are remote, desert outposts with no inhabitants and inaccessible by day boats. Unleash you inner adventurer! This trip has the opportunity to see migrating whales, pods of dolphins, jumping mobula rays, playful sealions – and that’s just from the surface. You will get the opportunity to swim with the largest fish in the sea – the whale shark and encounter schools of colourful reef fish in the water. You nature guide will bring the environment alive by showing you all the different creatures who call this area home. Enjoy feasts on deck with fresh food and a mix of Mexican and International fare. Perfect for families who want to explore and enjoy quality time together or for friends who want the ultimate getaway. Day 1: Welcome aboard El Duque (about 8:30am) and enjoy watching for wildlife as we travel out to Isla Espiritu Santo. Spend the afternoon and evening at anchor, snorkelling, kayaking and exploring. Day 2: Morning Snorkel at Los Islotes. An experience of a lifetime playing with this energetic creatures – they may dive bomb you or nibble your fins! Travel over to Isla San Francisquito and explore one of the most beautiful anchorages in the Sea of Cortez with a hike to an amazing lookout. Time to explore the island and snorkel. Day 3: Mangrove exploration – kayak and panga into this hidden gem on Isla San Jose. Mulitple different fish and bird species – not to be missed by any nature lover. Cardon Cactus forest walk after lunch. Day 4: Travel to San Evaristo, a small village in a remote section of the Baja Peninsula. Salt flats, wild horses and a chance to go explore on land. Great snorkeling in this area. 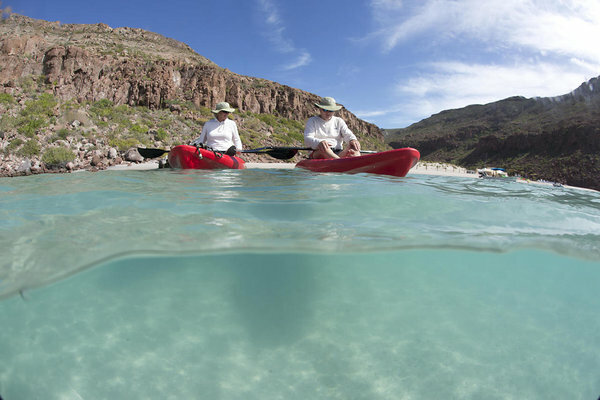 Day 5: Return to Isla Espiritu Santo, perhaps we will encounter whale en route. Upon arrival at the island it is time to try scuba diving. A beautiful reef awaits you! 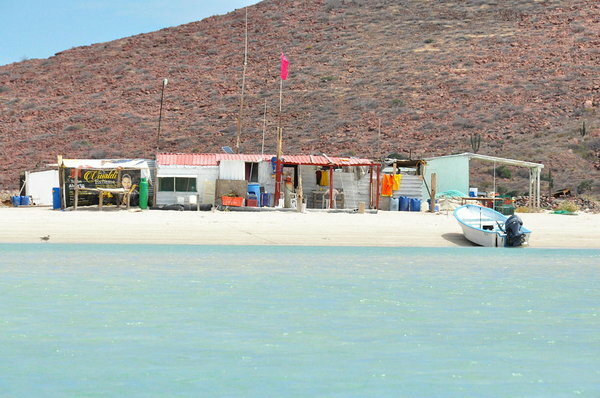 Spend the night around Isla Espiritu Santo. Day 6: Return to La Paz to snorkel with the Whale Sharks. Disembark about 2pm for transfer to hotel. Price: US$1500 per person. Minimum of 4. Includes all activities, passes to natural protected areas, food, snacks and soft drinks. We can organize hotels and transfers if you like. We strongly recommend spending the night prior to departure in La Paz to allow for an early arrival at the boat. Trip Itineraries are subject to weather and conditions; we will always make safety our first priority. No animal encounter is guaranteed – they are wild but we have great chances. Whale Sharks around October-April. Snorkelling at Los Islotes September-May. We specialize in private charters so can cater itineraries to meet your requirements. If you are certified divers and would like to include a couple of dives then this is possible. This trip is not dive specific but some can be accommodated.